Occupational Health, Safety in Agriculture is part of a series of 24 modules on Basic Occupational Health Services (BOHS) for informal work. This distance learning module is developed by the Indian Association of Occupational Health, and subsidized by the government of Gujarat, India. It is a YouTube video of 23 minutes. This attractive module has the aim to raise the level of suspicion in primary health physicians and nurses for work-related causes of diseases in their patients. The main question to ask is ‘What exactly is the nature of your work?’. Effective history taking, inclusive asking occupational history, is essential for a good diagnosis, therapy and prevention. The large variety of risks at farms is showed followed by mentioning and briefly explaining a large number of occupational diseases (with related specific causes) such as various lung diseases inclusive farmers’ lung, dermatological diseases, green tobacco sickness, burns, cancer, injuries, suicides and mental health effects. The principles of prevention are briefly demonstrated. This instructive video module shows work-related medical situations in clear photos and drawings. The text is visible and easy to hear. The language is on the level of medical professionals. The aim is awareness raising. 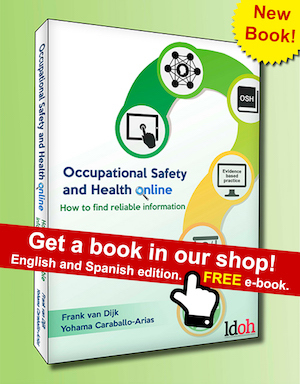 Some occupational diseases are not mentioned such as musculoskeletal and neurological diseases. There are no interactive parts in the video lesson, so using the material in a blended learning situation can activate the participants, increasing the effectiveness.